Our monthly roundup of new releases about the capital. We'd encourage you to buy direct from the publisher, or from one of London's many independent bookshops. Ever swam in the Thames? Wild swimming is on the rise, especially in the upriver stretches beyond Putney. It's a timely moment for Caitlin Davies to look back at the long and often surprising history of taking a dip in the river, a tradition that stretches back centuries before David Walliams. As the title suggests, her journey begins at the source in Gloucestershire and moves steadily downstream to the uncertain point where estuary becomes sea. Along the way, she meets contemporary swimmers, uncovers tales of bravery and endurance, and even takes a swim or three herself. Like a masterful front crawl, Caitlin's prose looks effortless, and never lacks pace. She's clearly done enough research to fill a dozen Olympic-sized pools, but the engaging style of storytelling ensures that the book never sinks into a mire of detail. The greatest achievement of the book is to rescue from obscurity the fluvial heroes and heroines of yesteryear. This is a story of remarkable individuals, who fought against time, tide and prudish attitudes to bathing costumes in a bid to conquer the river. Book of the month by several nautical miles. Out now from Aurum Press. See the author's website for upcoming talks. Tweet @CaitlinDavies2. "Oh wow; how come no one thought of that before?". That was our first reaction on receiving a copy of this chunky history of London at night. In truth, the title dissembles somewhat. 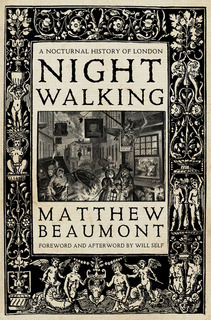 It's a history of nightwalking up to the time of Dickens, and that's it. The wider nocturnal history of London — blackouts and Blitz, Soho clubs and King's Cross raves, the world of minicabs, street sweepers and urban foxes — has no place here. Instead, it's all about that first word. Nightwalking. It is a seemingly narrow topic, but full of hidden history. Think about it. Before the 18th century, little more than the moon would illuminate the nocturnal streets. Medieval citizens were expected to abide by curfew (from the French to 'cover fire'). To walk at night was considered suspicious, even criminal. The spread of street lighting through the 18th and 19th centuries changed everything, bringing culture and mischief to the city. Different species of nightwalker emerged — young roisterers from the upper class, to the impoverished homeless, and many shades in-between. And, it turns out, everyone you ever heard of from this period was a keen nightwalker: Johnson, Blake, Wordsworth and, of course, Dickens. This is a difficult book to criticise. It is so learned, so rich in quotation and source, and such a well-spun caboodle that it feels almost impregnable. And yet it's a right bugger to read in places. The author delights in using tricky, specialist words that may deter the more casual reader. Unless you're Gyles Brandreth, you will need a dictionary. We also thought the earlier chapters needed a bit of red-pen action, with repetitive quotations and belaboured arguments. Like a chilly nightwalker, though, it soon picks up pace. As we move into the weird world of Blake, the messed-up life of De Quincey, and the somewhat neurotic head of Dickens, the prose feels more human. If you're into literary criticism, and curious to read an alternative history of London, then this book should be very much up your street, like a nightwatchman with an illuminating lanthorn. If you're not so fond of an academic tone, however, it might be a long slog in the dark. Out now from Verso Books. Listen to the author discuss his book on Londonist Out Loud. This colourful, photo-heavy volume potters around the streets of London, looking for unusual and little-known features of interest. Such books are now more numerous than traditional guidebooks, and much of this will be familiar to those with a fondness for such things. The usual batch of 'secret London' cliches are here. Postman's Park, check. Sir John Soane's Museum, check. That quote from Peter Ackroyd about London being illimitable, check. Having got off to a somewhat grumbly, uncharitable start, we now turn and salute the author, for poking a bit deeper than some of his competitors. For example, the oft-repeated 'fact' that the Savoy Hotel entrance is the only place where drivers must keep on the right is gratifyingly rebuffed. He also pulls a few surprises out of the bag. We've certainly never clocked London's thinnest house, to be found on a mews in Knightsbridge; and the tip on where to photograph an alternative 'Number 10' is inspired. It comes down to this: if you're a regular Londonist reader or already have a couple of 'insider's guides' to London, then you won't find much here to raise the eyebrows. If, however, you're new to the capital, or new to exploring the capital, then this is about as good a guide as you'll find to all those 'hidden gems' — well-written, well-illustrated and full of character. Out now from New Holland Publishers. 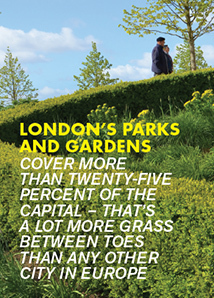 This is a new edition of a much-thumbed guide to London's green spaces. A lot has changed since the book was first published in 2006. Most notably, a certain 560 acres of Queen Elizabeth Olympic Park have appeared between Bow and Stratford. The author has taken the opportunity to add around 150 more pages, with dozens of additional parks, a guide to park cafes and a calendar of events that make use of our city's 'green lungs'. Such is the capital's bounty of parkland and gardens that a book like this could never be comprehensive if it ran to a thousand editions. This is a fine and varied selection, however, and just in time for summer. Out now from Metro Publications, Ltd. This is the latest compilation of capital facts from the pen of David Long, and a sequel to his recent history in 100 buildings. The premise is pretty clear from the title. What's more surprising is the people he chooses for his mini-biographies. 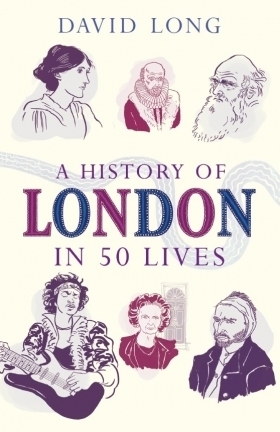 Obvious candidates like Marx, Woolf and Hogarth are included, but most of the stories concern the relatively obscure denizens of London who nevertheless made an impact. Some are whimsical, such as royal rat-catcher Jack Black. Others are tragic, such as the story of 'Adam', the young boy whose torso was recovered from the Thames in 2001. Not all the subjects are human, either — a gorilla, parrot and ghost also share these pages. With the author's practiced eye for a good story and witty turn of phrase, '50 lives' turns out to be a lively, nourishing read rather than a lazy repackaging of Wikipedia that might have been commissioned. 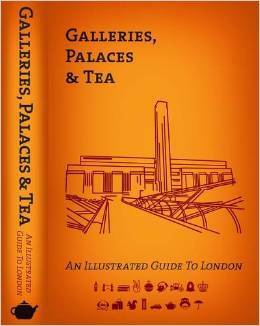 This is about the chunkiest guidebook to London we've ever seen, covering the mainstream and little-known alike. We've not had a chance to fully appreciate it, so can't give a full or fair review. 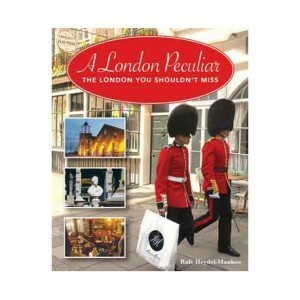 However, it seems like an affable, eccentric guide to the capital aimed more for those who want to dip in for a few minutes, and learn something oddball (for example, this is the first book we've seen to cover those weird potato sculptures thrown on top of bus shelters a few years ago). The content looks pretty solid, backed up by some enlivening illustrations. It could use some design work, though. The structure isn't at all user-friendly, and the maps at the back use a grid system that defies any rational sense. All of this makes us want to dig deeper to find what other eccentricities lurk within. Can't help thinking, though: wouldn't all this stuff make more sense as a web site? Out now, from Curll Press.